Blogging has brought me many things --- freebies, a bit of fame, confidence, something to do, getting invited to events, etc. 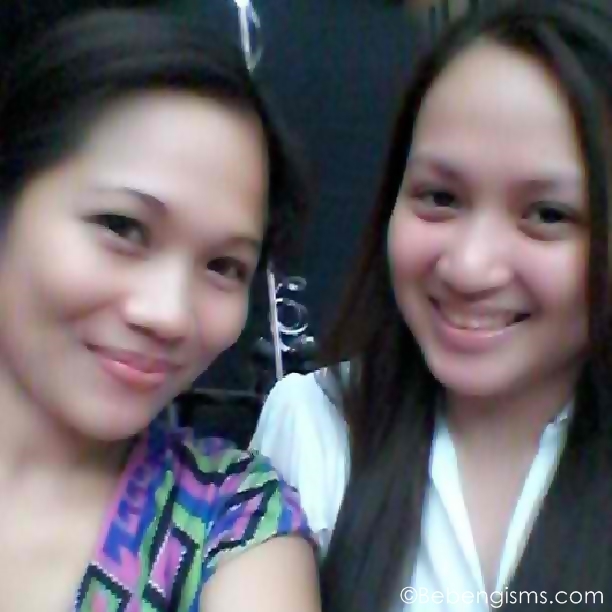 But there's this one thing I really like most about blogging --- gaining friends. 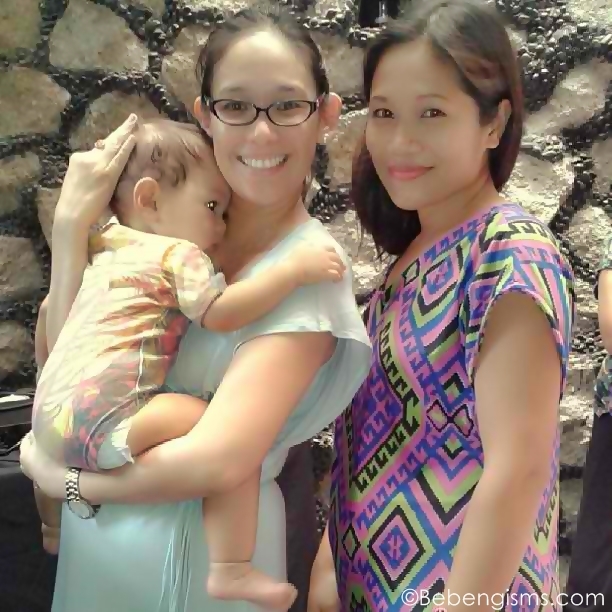 I was very fortunate that Kim of Mom on Duty, whom I have featured in A Mom's Life on its 7th episode, invited me to one of the well-organized events I have ever attended; not that I have attended a lot. 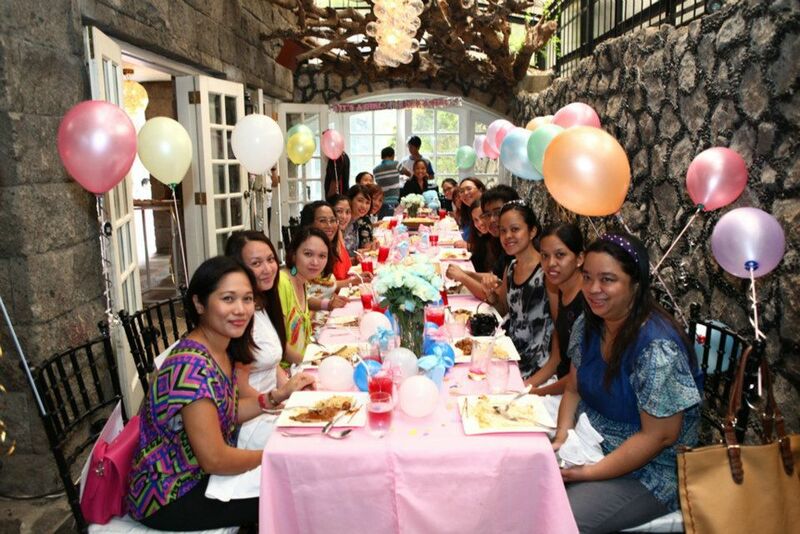 But yes --- it was an intimate lunch with fellow mommies. 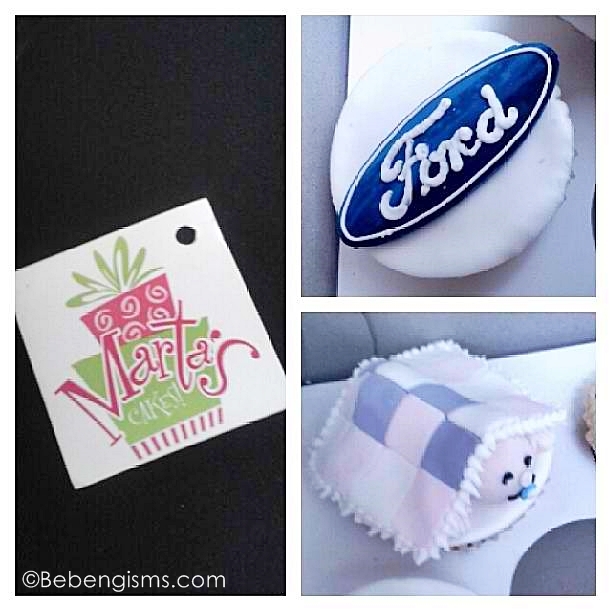 On November 9, Thursday, Kim picked me up somewhere in Marcos Highway and she drove us to Corinthian Gardens for the Ford Philippines' Baby Shower, which was also a pre-Mother's Day celebration. It was like we're old friends catching up on things we missed. We were so daldal and like every sentence we were about to finish, one of us have said "ay pareho tayo..." or "naku, ganyan din kami ni Arjay..." Yup, looks like we have lots of things in common. To be honest, I miss her now that I am writing this. Naks! It's easy to make her laugh kasi 'cause she's bungisngis, but with grace. After all, she's an Assumption alumnus. Well, this is not an ode to Kim or something. Haha! I'm just happy that I got to spend a few hours with her, got to know her more and got lost with her inside the posh village of Corinthian Gardens. And, I will never forget this laugh-worthy scenario that because we were talking too much, she forgot to turn left to Meralco Avenue. 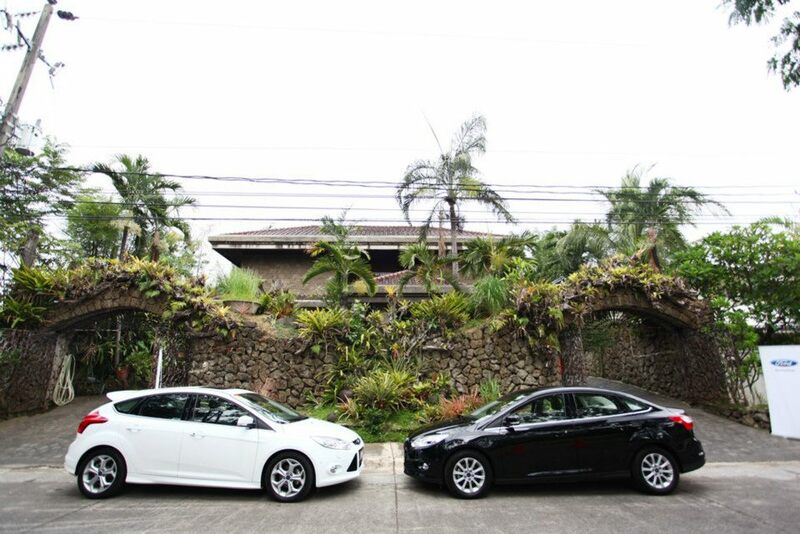 Instead, she "almost" parked in front of Meralco head office; much to the astonishment of the security guard who saw us. Hahaha! She didn't write about that in her post though. 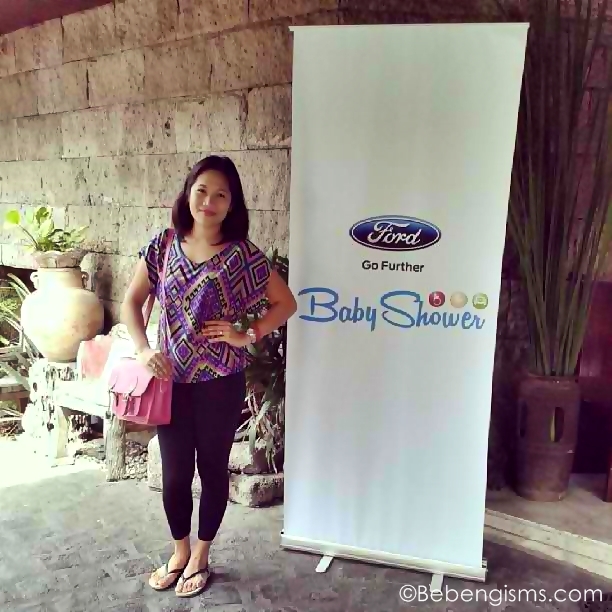 You may read her Ford Philippines Baby Shower experience here. Okay, let's talk about the event. When I heard it's hosted by Ford, I automatically thought the venue would be somewhere around cars, something like a showroom. But it was in Chef Rodriguez's residence in Castrillo St., Corintian Gardens. The cozy ambiance of the place added to my excitement. The organizers asked us to sign up and we were seated. Kim and I didn't stop talking, but we managed to multi-task by taking some photos. You know, blogger's duties. I got the shock of my life when hello, Frances Amper Sales of Topaz Mommy entered the room with the sleeping baby Iñigo. I told myself I wouldn't let the day pass without having a photo with her. 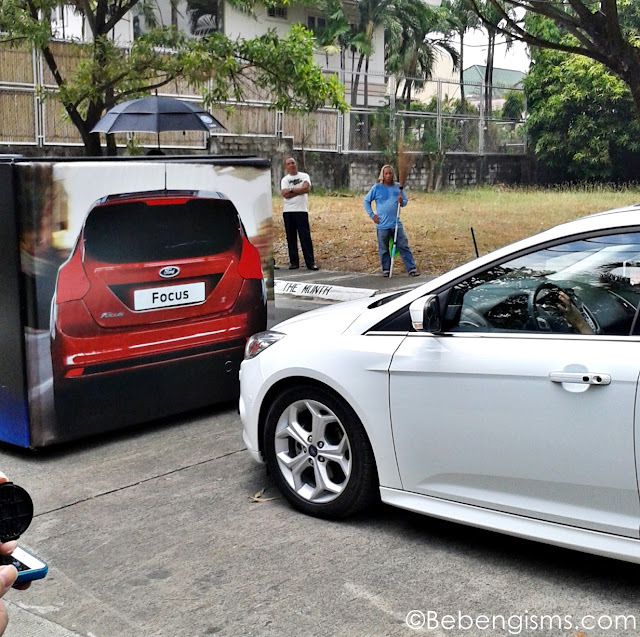 The first part of the event was about Ford Focus' features and how it can be beneficial to women, who are infanticipating. 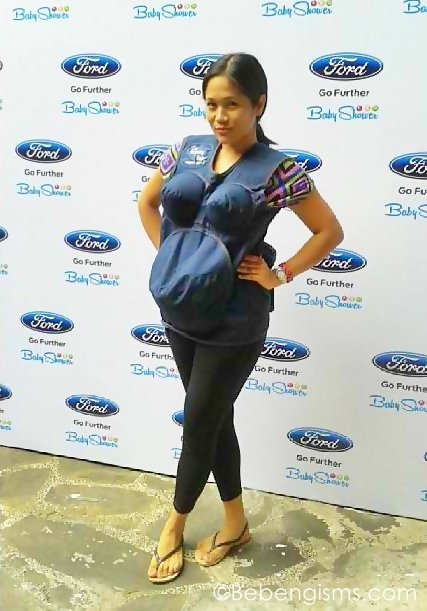 Ford Philippines' AVP for Communications, Annika Wycoco, presented to us how pregnant women could drive safely and with ease with Ford Focus. Wearing your seat belt correctly - Make sure that your seatbelt is positioned below your abdomen, across your hips. Move back - Move your seat back to a comfortable distance when you are driving. Doing this will protect your stomach in the event of an airbag deployment. Support your back - If you have pregnancy related back pain, place a small circular back pillow to support your lower back or use a rolled up towel. This will help increase comfort while you're driving. Take a break - If you're driving for a lengthy period, take regular breaks to increase blood flow to your feet. Gently move your feet around, rotate your ankles and wiggle your toes. Be the passenger - Sitting in the backseat is the safest spot in the car for an expectant mother. If you sit in th front seat, make sure to push the seat back as far as you can to protect from airbag deployment. Have your information - Make sure to bring along with you your pregnancy records, which include a detailed list of medical information, test results and emergency contacts. After so, we went outside for the live demonstration of some of Ford Focus' many features, such as the Active City Stop --- using information from a lidar (Light Detection And Ranging) sensor, it applies the brakes , when it recognizes that a low-speed collision is imminent. The system is active up to 30km/h. It can reduce the severity of accidents, and in some cases even avoid them entirely. 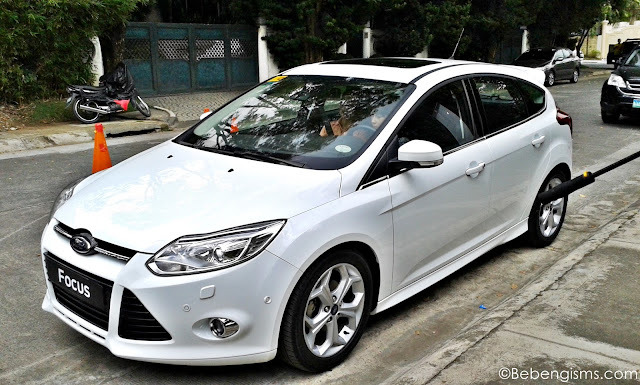 Other features of the new Ford Focus are the Active Park Assist, Blind Spot Information System, Smart Keyless Entry, Ford Power Start and Drive Connected. 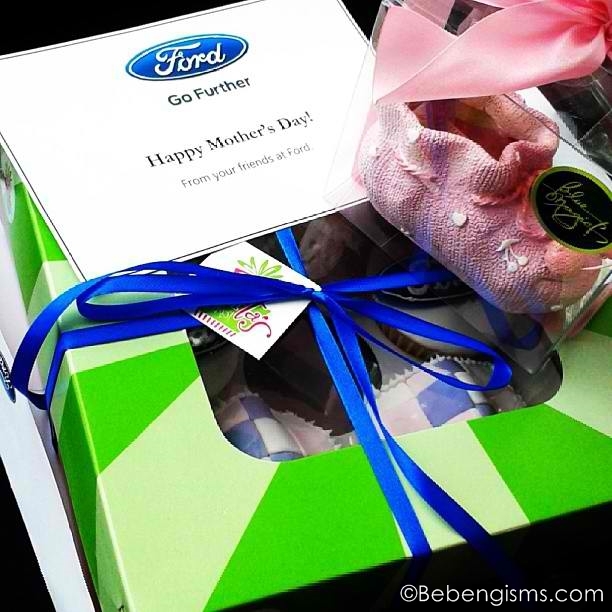 Truly, moms can go further with Ford. I'm sure other moms who were there were as giddy as I was when we were directed to the long table to finally have lunch. 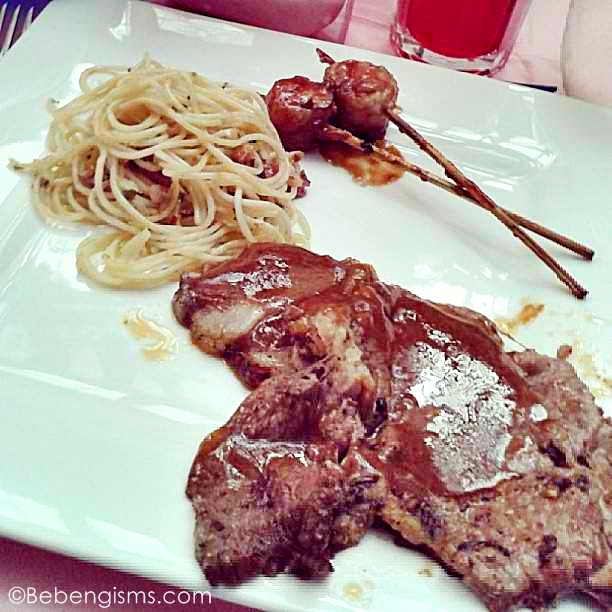 Served in the buffet table was Chicken Yakitori, Pasta Al Burro, Shrimp Tempura and Beef Angus Steak. 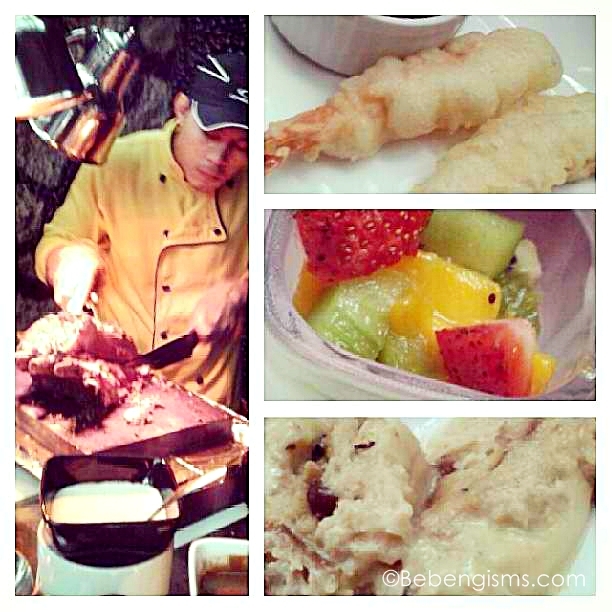 The desserts were something like a hot leche flan I failed to ask the food server what was and fresh fruits with cream. I literally experienced food coma, my brain didn't function for a minute. Hehe. We had games and I got a pack Reese's cups. Yum! 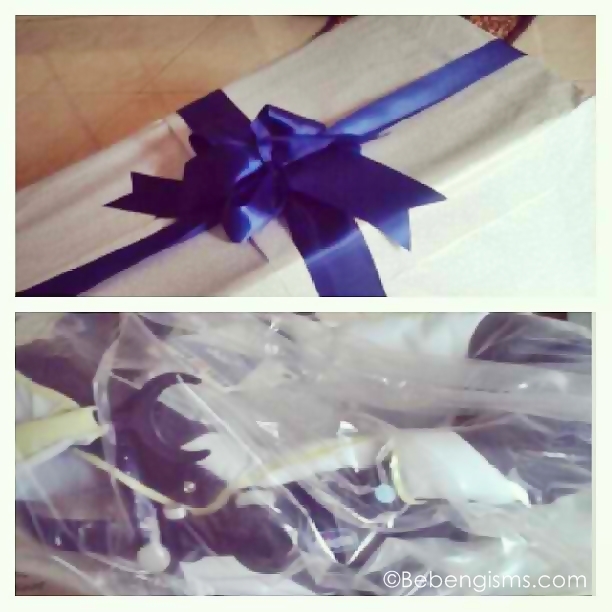 I gave that as a pasalubong to LB along with Marta's Ford cupcakes and the pink baby shoes. We then posed for some photo ops wearing the Empathy Belly --- a pregnancy suit. We were about to leave when they gave us Chicco car seats! Kim and I were totally kilig and surprised. She really needs it as she has 4-month old Caleb who'll surely be using it. On my part, I accepted it as a sign. We have a car and a car seat, we only need to have a new baby use it. LB's already big enough to seat on her own with a seat belt. Our day was sealed with hype and a promise that it's not the last time we'll see each other. We have actually planned to set a play date for our talkative and artsy kids. As for the Ford Focus, we agreed they sold it to us big time! 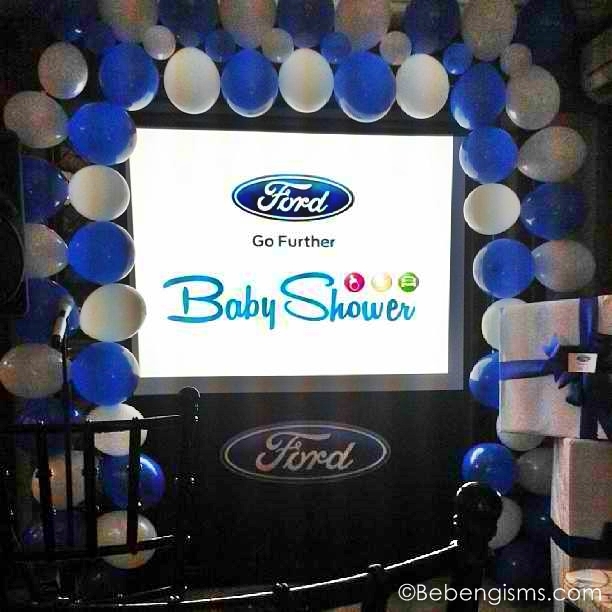 Kudos to the ladies and gentlemen behind Ford Philippines Baby Shower! Sa totoo lang, nakakamiss ka! Haha. I wonder if our little girls will click too. Sana! 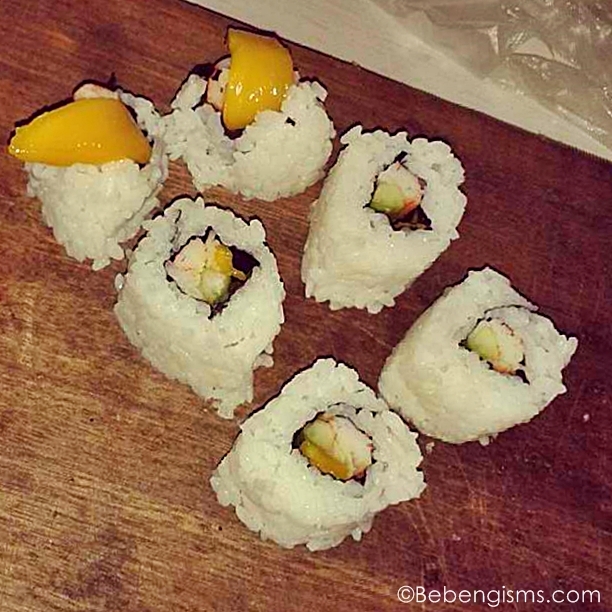 Nakakatuwa kayong dalawa. 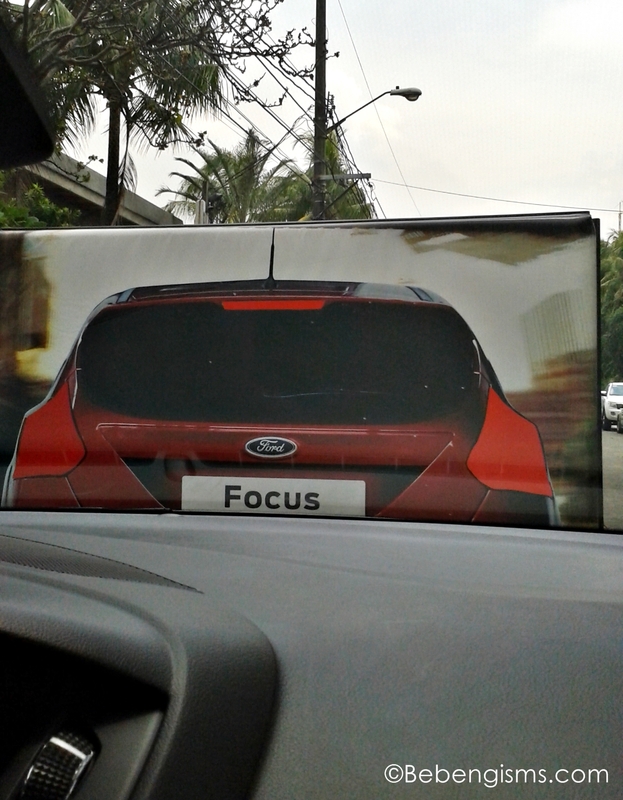 =) Nasubaybayan ko tong Ford event niyo sa IG. 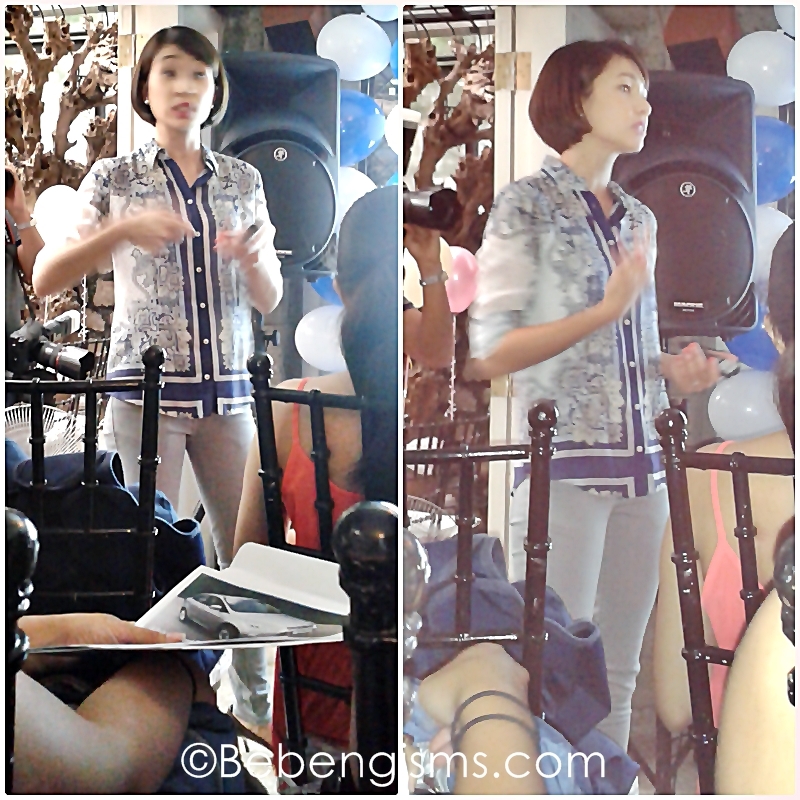 I got to #stalk other bloggers there hehe.